Collaborate with peers, and share your ideas with our growing global ecosystem. Our online user community site brings customers from around the world together to connect, share, and access resources you need to do your job more effectively. Leverage expertise from Winshuttle users and employees worldwide, access online training modules, and find and share templates and scripts. Tap into the Winshuttle user community, anytime, anywhere! 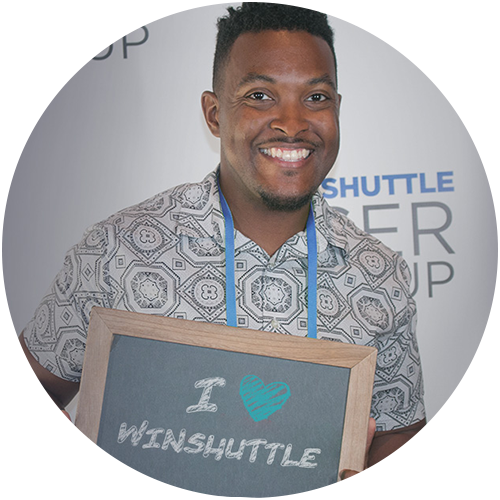 From local meetups to expansive conferences like ASUG and SAPPHIRE NOW, Winshuttle thought leaders are gathering around the world to share new tips and tricks, lead thoughtful sessions and connect with industry experts and users like you. Stay in-the-know by connecting with Winshuttle at an upcoming event. Data matters – and nobody knows that better than the greater Winshuttle community! Join like-minded peers at the annual Winshuttle User Group (WUG) conference for hands-on training, networking, and opportunities to share new and exciting use cases. Connect with users in your community by getting involved in your local Winshuttle User Group. Exchange ideas and lessons learned, solve problems and share best practices with users in your city. Join a community of passionate technology providers who design, implement, sell and support Winshuttle products. Learn how partnering with Winshuttle will enable your organization to gain a larger share of the market, and increase revenue and customer satisfaction.